It's time to keep an eye out for the CTA Holiday Train! It will make its first trip of the season on Saturday. 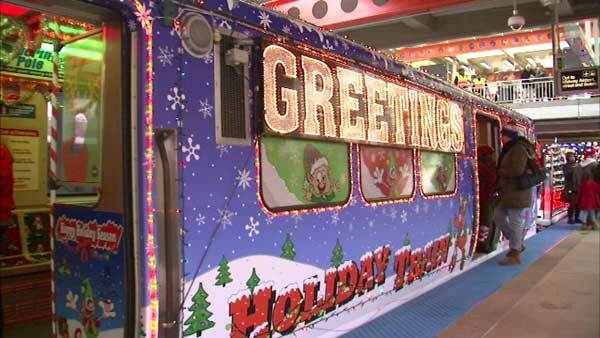 CHICAGO (WLS) -- It's time to keep an eye out for the CTA Holiday Train! It will make its first trip of the season on Saturday. The transit authority partnered with Sprint this season. The company gave the CTA $300,000 to cover operational costs. That money will provide for an extra day of Sprint CTA Holiday Train service. The decked-out train will run on the Red Line this weekend during the Magnificent Mile Lights Festival. Check out the full schedule at www.transitchicago.com/holidaytrain.